Ok... So I decided to do a post on what beauty products I NEEEED to always replenish! These are items that I may try new brands of, but always fall back to these specific items. I either am in love with the color or the scent or just the product itself, but I always buy multiples and I would be absolutely devastated if it was ever discontinued. Yes, I am always testing new products and showing you what's out there and I will continue to do that. Who knows, there may be a new list of "Beauty Products I Cannot Live Without" next year, but this is what I need to have in my life right now!! 1. Urban Decay- All Nighter Long-Lasting Makeup Setting Spray. I use a setting spray often. I know, I know I don't party all day long. I do, however, work really looooong hours and this is something that helps my make up last. This with really great primer, my days of running around doesn't matter because my face still looks flawless comes 7pm!! 4. Nailtiques Nail Treatment. I love this system. I usually use number 1 when I need to just maintain my usual base coat and then the great thing about this product is what I can do when I am having and issue. If there is a weather change or I having weird peeling due to a medication change or something, I can pop that up to a 2 or 3 and then it clears right up. 5. Batiste Dry Shampoo in Cherry. I have been trying dry shampoos for quite some time now and even more that I have shorter, color treated hair and I do not wash it as much. This is the best one I have come across. It makes my hair feel the cleanest, it is the best value and I just think the cherry scent is the best. 6. Reviva Labs Elastin Serum. 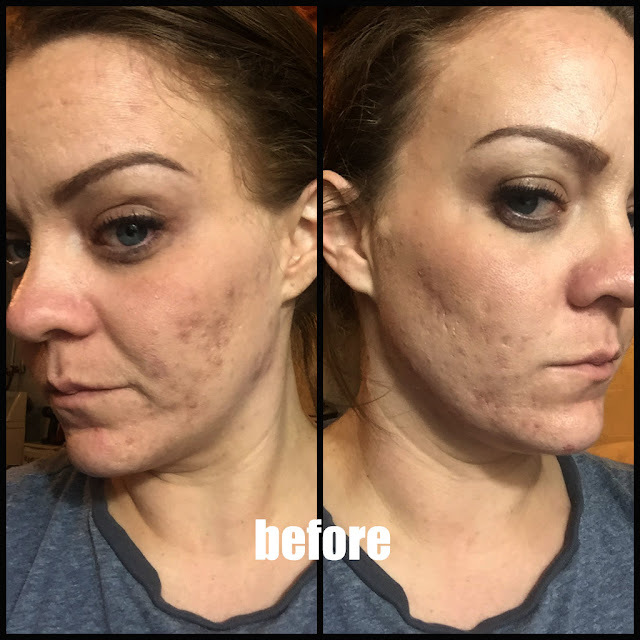 I really like Reviva Labs products and I like their service even more. I have been working with a company representative that is just wonderful and she represents her company great. Not only does this company have great people, but their products are awesome. I have used a couple of their products and this one just seems to be awesome. I use it every night before bed and it does its job. The ingredients are awesome, the product works and the small business aspect are just some of the best highlights. 7. Barielle Nail Strengthener Cream. This is a great product. You literally just slather it on all of the time. I literally have a jar by my bed, in my living room, in my office and in my car. I put it on whenever I have a chance. As a nail blogger, it's important to have nice nails so I need to keep that cuticle routine!! This is the perfect edition. 8. Almay Makeup Remover. A great makeup remover is always super important. Especially for someone that wears a ton of makeup each day and seals it off with setting spray. Removing that is important. You never want to go to bed with eye makeup on. Almay has a great formula that never aggravates my eyes and removes everything that I put on. 9. Zoya Nail Polish Treatment and Color. Last, but not least NAIL POLISH!! I have been loving Zoya polishes lately and they have been killing it with those fall colors. Every new collection they have come out, the more I fall in love. Zoya just has really great products in general. Their polish has a really great formula, the prices are great and the color variety is awesome, the names are fun and they always have great specials. I am really looking forward to see what else that Zoya comes out with next.